It was a firefight so consequential that the British sent Gen. George Washington and his troops fleeing and captured Philadelphia just two weeks later. Philly also lost its status as the nation's capital because of it. 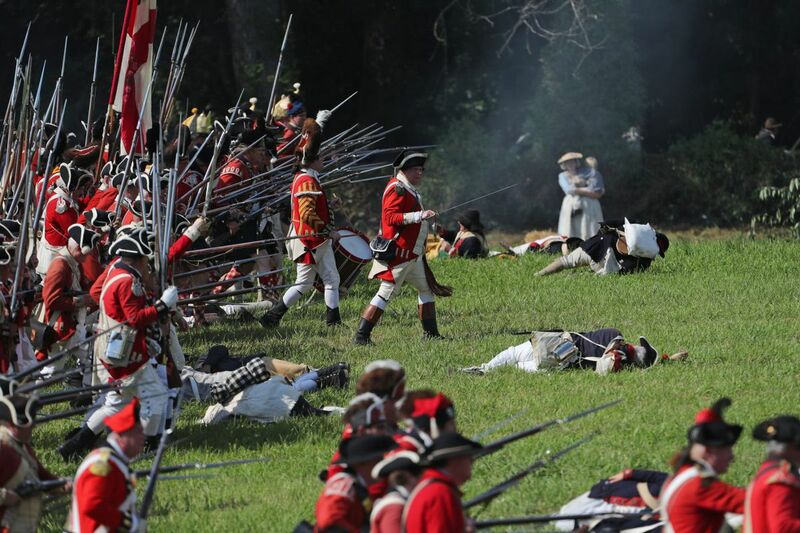 In the annals of local and American history, in other words, the daylong Battle of Brandywine in 1777 was one of the largest of the Revolutionary War. But measured by national parks, monuments, and museums, Brandywine is the forgotten stepchild of the war that introduced the world to modern-day democratic rule. A few days before New Year's, residents of Westtown Township, Chester County, cheered as their elected officials spiked a planned Toll Bros. housing development on a 322-acre privately owned parcel known as Crebilly Farm, where portions of the famous battle were believed to have been waged. Township supervisors felt no need to disclose the reasoning behind their unanimous vote. A written statement is expected in the next few weeks. But the town a decade earlier had OK'd a different development at Crebilly and now decided this one was a no-go. The rejection comes just a few months after reenactors celebrated the Battle of Brandywine's 240th anniversary — and the preservation purchase of another hallowed patch, Dilworth Farm, for $850,000 with help from the nonprofit Civil War Trust. The winds of change are finally blowing in the direction of Brandywine finally getting its due. And free-market capitalism is taking a backseat while it does. What's unfolding along the Brandywine Creek is a civil version of the tactical strategizing that made the historic battle such a dramatic confrontation. Just as British Gen. William Howe hatched the plan that ultimately outmaneuvered Washington by landing an armada off the Maryland coast and skulking north toward rebel troops near Chadds Ford, preservationists have stepped up efforts over the past decade to give this diffuse stretch of mostly privately owned hallowed land the protections it has long lacked. The Dec. 30 ruling was a stunner. "We were losing a farm in Chester County just about every day in the Eighties and Nineties," said David Ward, who would know better than most. The assistant director of the county Planning Commission has been at it for 40 years. "Wholesale farms were going up." Howe led 15,000 British and German mercenary troops into Brandywine on Sept. 11, 1777, from Maryland, where they had landed to launch a surprise attack. They marched east from Kennett Square Borough toward Chadds Ford, where Washington had gathered over 14,000 soldiers and militiamen. It was so brilliantly executed that Washington retreated to Chester, clearing the way for the British to take their intended prize — Philadelphia. Nowadays, drive through the Brandywine area and you don't see much suggesting this ever happened there. You'll see winding state roads, houses, and purposefully quaint commercial strips. In neighboring Montgomery County, conversely, Valley Forge National Historical Park is a sprawling, federally owned monument to a less significant chapter in the war's history. Near Brandywine, only a sliver of a tiny park along Route 1 is comparably available to the public. The rest of the 35,000 acres on which the battle was fought are spread across 15 municipalities in Chester and Delaware Counties. Until about a decade ago, there wasn't even universal agreement over the battlefield's 18th-century boundaries. That began to change in 2000, when a National Park Service report identified Brandywine as one of the nation's 30 most-threatened battlefields from that era. With any luck, the citizen-troops looking to even the preservation score will only further secure its future in the years to come.